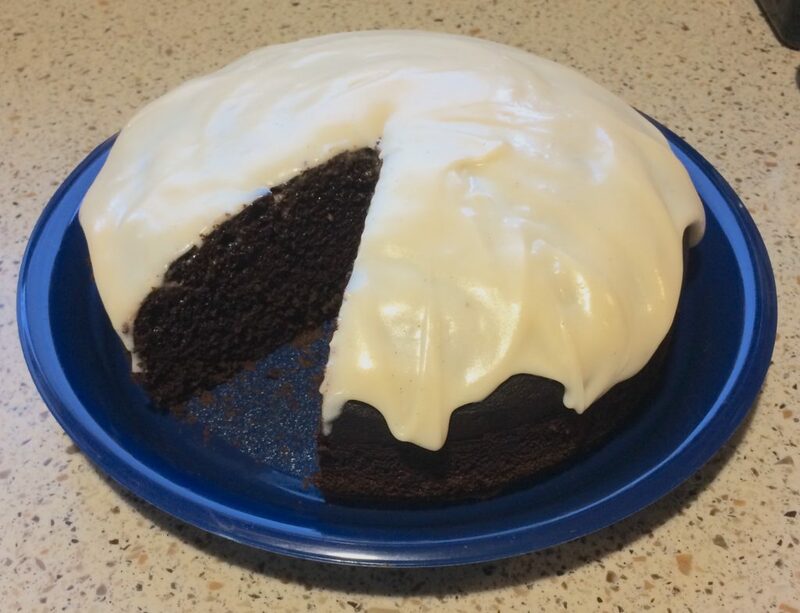 This cake is made in a pressure cooker! 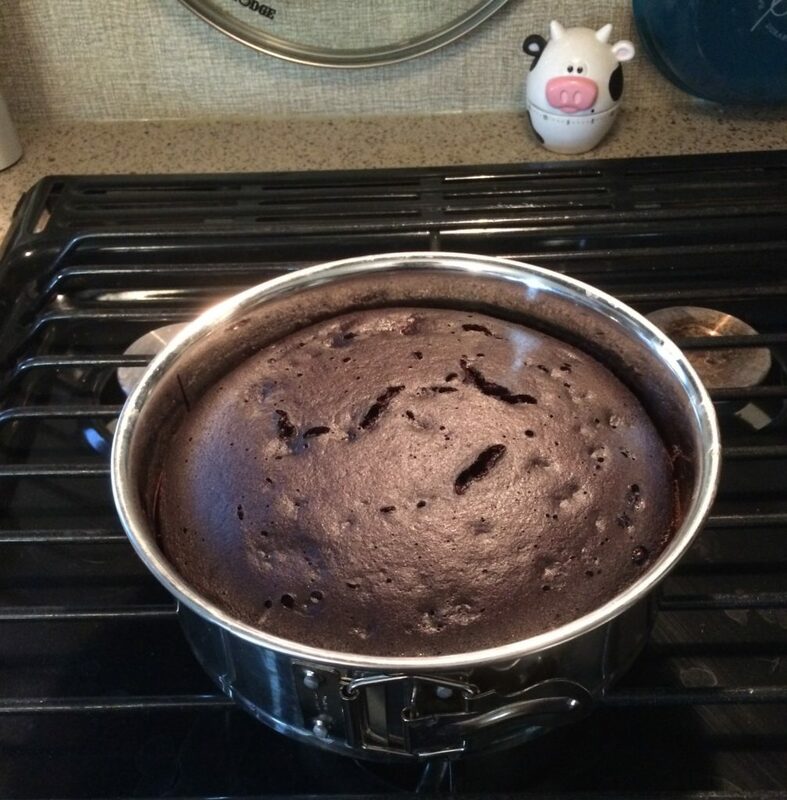 You need a cake pan small enough to sit inside your cooker, on some kind of platform (I use a cheap aluminum mini loaf pan). Other than that, it’s not too different from baking a cake in an oven. 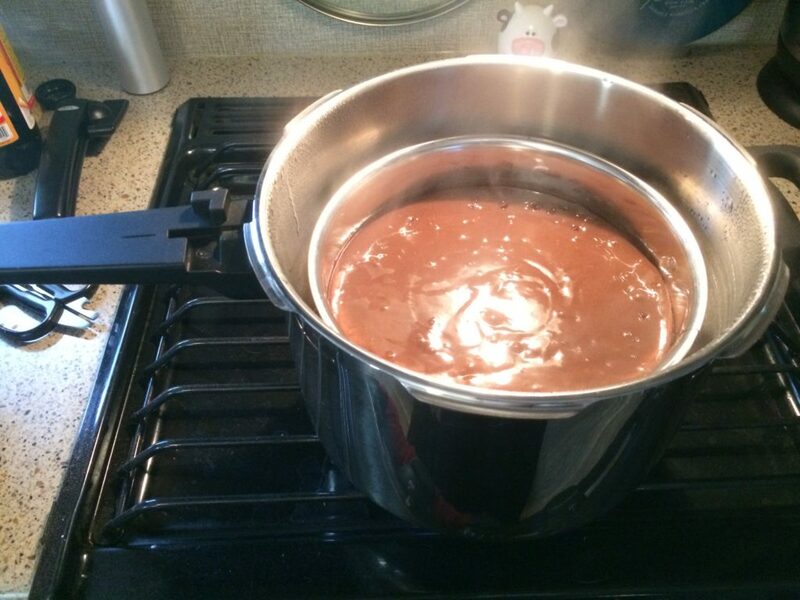 Prepare pressure cooker by adding 2-3 inches of water, and inserting the rack the cake pan will sit on while it bakes. Start simmering the water, if desired. Prepare springform (or other) pan by lining the bottom with parchment (not wax paper! ), or lightly buttering the bottom. Warm the can of coconut milk in a bowl of warm water (or your simmering, uncovered pressure cooker) in order to mix the solid coconut cream with the liquid coconut water. This step is not necessary, but it makes mixing the ingredients easier. Mix dry ingredients in a mixing bowl, then mix in coconut milk and vanilla extract. Use an electric mixer or an analogue mixer (your arms) until no lumps remain, and everything is well-mixed. Because this cake is gluten-free and contains no thickening agents (like xanthan gum or guar gum), it’s nearly impossible to over-mix the batter and get a tough cake. In fact, the longer gluten-free flours are mixed, the more the teff’s proteins develop and start to resemble the useful but occasionally toxic gluten some of us love to hate. So go ahead and mix the heck out of it. Smooth the batter into the pan, lower the pan into the pressure cooker, and cook at pressure for 40-50 minutes, or until a toothpick comes out mostly clean. The Teff Company grows my favorite teff, and they post tons of good recipes, too. It’s gluten free, grown on dedicated fields without gluten grains, and comes in dark brown or ivory varieties. Alternately, Bob’s Red Mill teff is also certified gluten-free and is sometimes more readily available in stores. You might think that’s a lot of vanilla extract. You’re welcome to use less! We happen to love vanilla around here, but we’ve also noticed that gluten-free baked goods love a little extra vanilla.